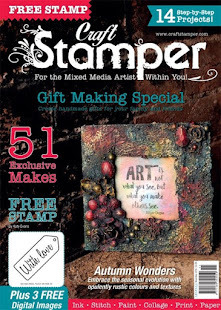 Stampendous and Maya Road - big blog hop! 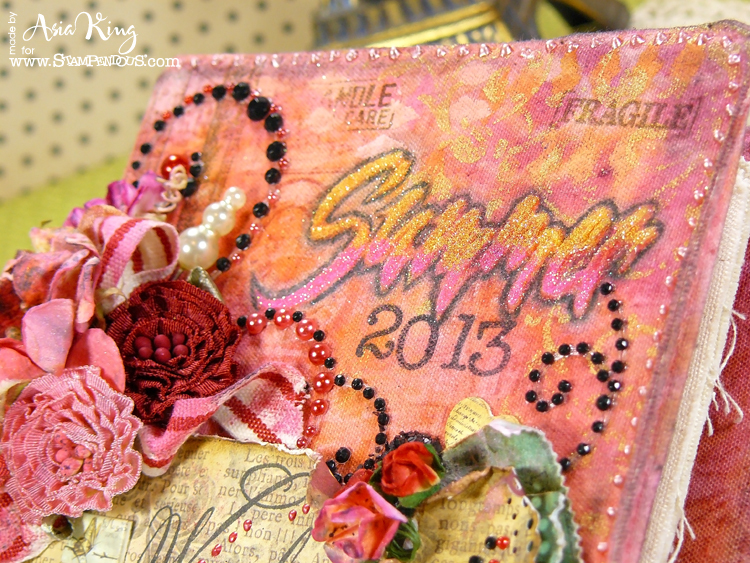 I don't know about you but I am really enjoying this week's creative journey with Stampendous and Maya Road. If you haven't checked all the inspirational projects yet, be sure to have a peak - you won't be disappointed. And who knows, you might win some fabulous crafty goodies too if you leave some love and let us know you've visited! (nb. winners need to have a US shipping address). 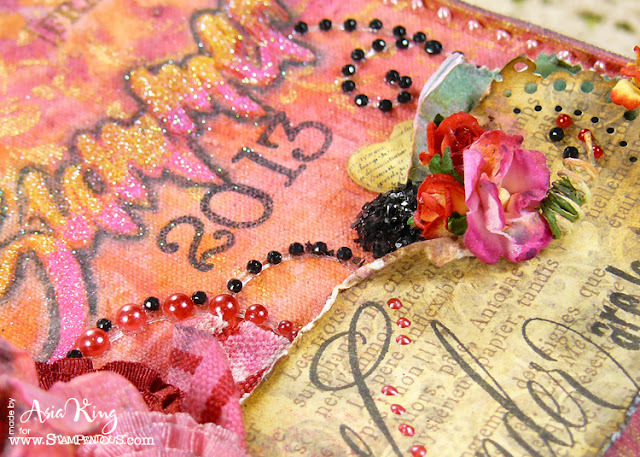 For today's blog hop project I decided to play with this fabulous canvas binder. I am going to turn it into a mini album with our holiday's photos. I haven't decorated the pages inside yet but no doubt I will very soon! And here's how I decorated my album cover. 2. Colour the entire canvas cover with Inktense pencils. 3. Spritz the cover with water and using a wet brush blend in the colours. 4. 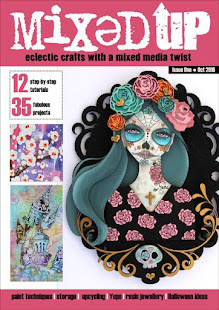 Spritz some Glimmer Mists onto the cover through a flower mask. Allow the cover to dry (or dry it with a heat gun). 5. Randomly stamp Luggage Labels onto canvas with white Distress Stain. For a more washed out look stamp the labels onto slightly damp fabric. 6. 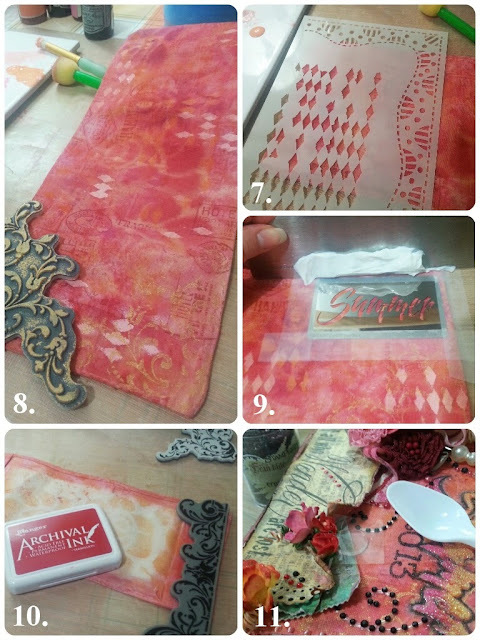 Add more stamping using Crimson Archival. 7. Apply diamond accents through a stencil with texture paste mixed with some acrylic paints. 8. 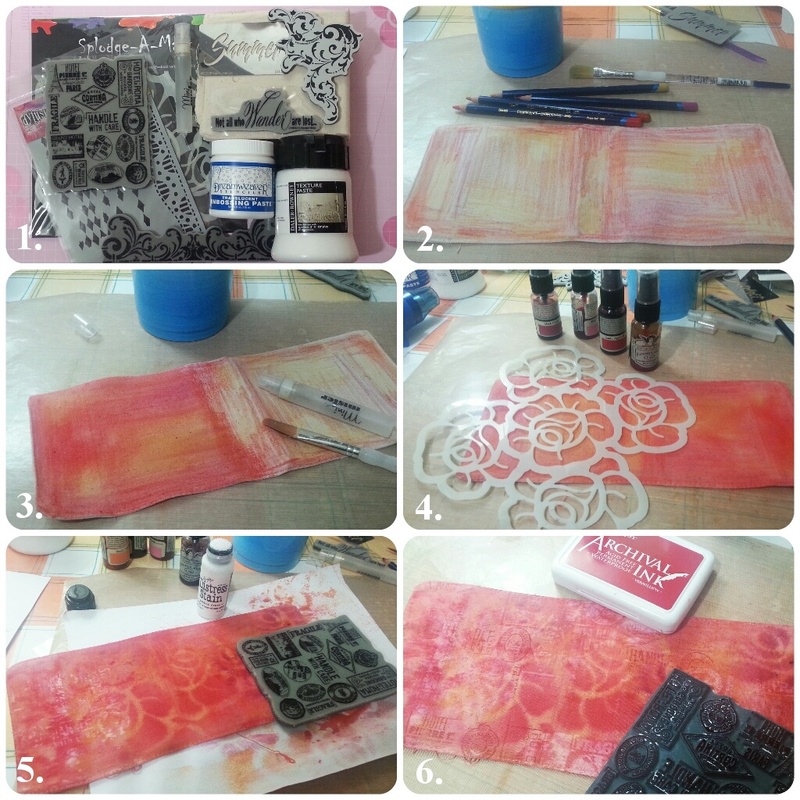 In corners stamp the ornate swirl from the Peruvian Lily set with gold acrylic paint. 9. 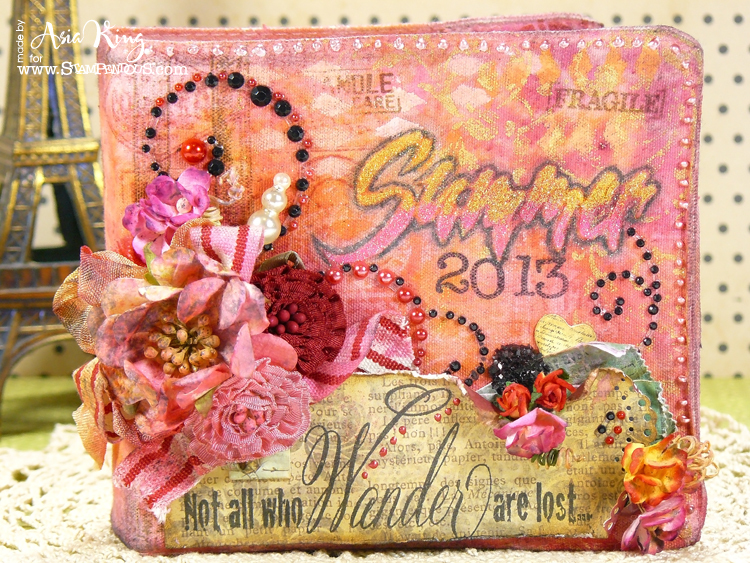 Emboss the word 'summer' with the embossing paste and decorate with micro glitters. Allow to dry thoroughly. When dry outline the glitter word with Sepia pencil and blend in the shading with a waterbrush. 10. Add more stamping to the inside cover flaps with the Hollyhock swirly border. 11. Stamp the sentiment onto paperned paper. Add all your embellishments and paper flowers. Apply some DODZ 3D accents and cover with black glass glitter. Add final touches with Liquid Pearls. And here is the back of the cover. Well then, I hope you've enjoyed reading this little tale about my 'summer sizzler' - I'd love to know if you have :). Wow--this is beautiful--love how you colored and embellished this album. 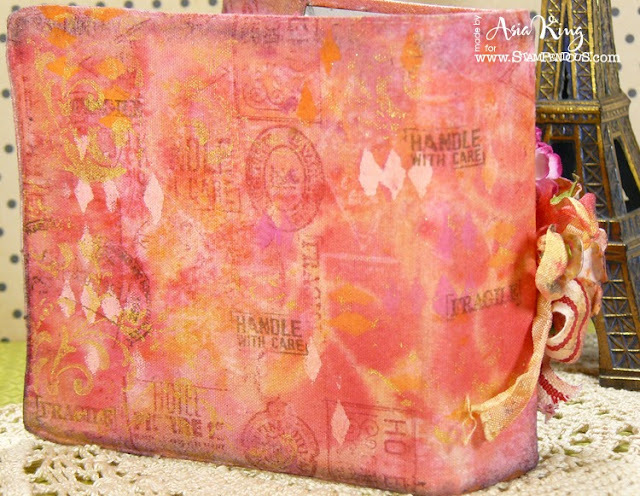 Hi Joanna - truly gorgeous canvas cover - love its chunky bejewelment with fantastic inking. Holly Crap Woman!!! I was all happy with my album and then I come over here and see this drop dead gorgeous creation! Guess I have a way to go :) Lovely!!! SO gorgeous, Asia!! Love every single bit of it! Super wow!!! Thanks for playing with us. OH MY GOODNESS! I only have one problem with this project...I can't take my eyes off it! IT is absolutely gorgeous and has so many sparkly, flowery and blingtastic elements to it that I am short of breath with glee! WOW, AMAZING, COLORFUL, STUNNING, SPECTACULAR, SPARKALISCIOUS and DIVINE are just a few words to describe how it makes me feel to look at it. 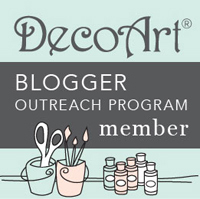 You are a very talented lady and I feel privileged to be able to view your work! TFS! The colors in this are so pretty. Amazing work, thanks for sharing. Stunning canvas book! Fabulous design! Love the bright happy colors. So beautiful - love all the pink and the flowers. 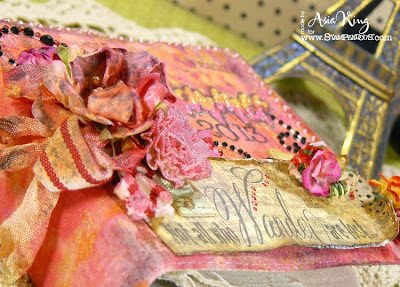 Beautiful choice of colors and I love the mixed media look! Asia, this is beautiful! I love all the texture and elements! Great colors, too! Great work Asia! Thanks for sharing! Gorgeous album, so many great techniques! Loving all the color and texture! 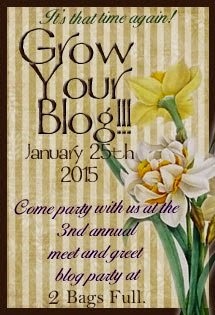 love all the different elements that you put into this so cute! Beautiful work! Love all of the color, and stamping and flower and gems, just beautiful! Thanks for sharing.